Going to the emergency room is a stressful experience, especially for older adults. That’s why at Physicians Regional – Collier Blvd., we’ve made some enhancements to make it more comfortable and make you feel more at ease. Our attentive, compassionate staff is specially trained* to care for older adults and is committed to helping you feel safe and secure. 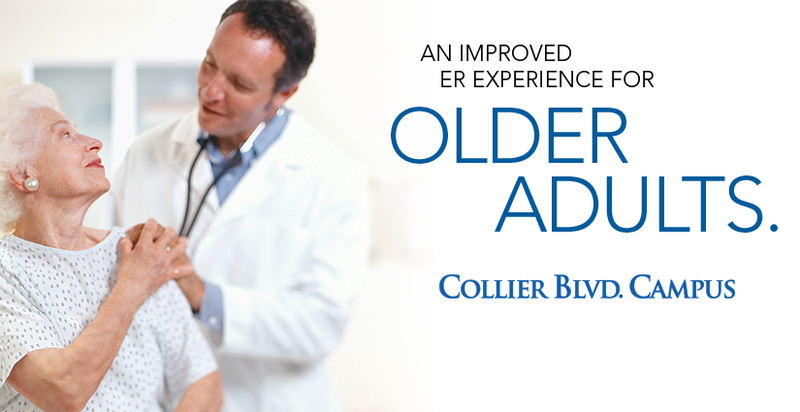 So when you or an older adult you love needs emergency care, choose the ER at Physicians Regional – Collier Blvd. *As of February 2018, all ED staff and medical providers have completed at least ten hours of geriatric care education.